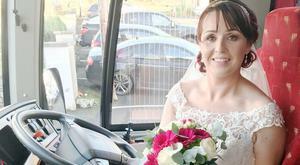 A bride made sure she wasn't late for her wedding after she used her own bus to get there. A powerlifting couple from Belfast ensured their marriage got off to a strong start when they made their dramatic entrance as man and wife. The wedding of a daughter is an emotional day for any father. Bad Lip Reading specialises in parodying iconic on-screen moments by dubbing them with satirical and amusing interpretations of what was said by those involved. 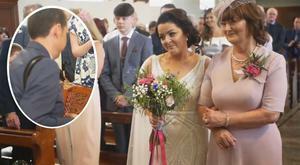 AN Irish bride got the ultimate wedding present when her father serenaded her on her big day. 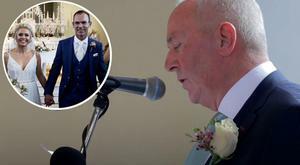 It's fair to say the wedding was a rollercoaster of emotions for Irish groom Tony from the moment his bride Jennifer arrived at the top of the aisle. First dances at weddings are well known to tug at the heartstrings a little. The confetti has well settled on Harry and Meghan's big day - but who would have thought the best was yet to come?! It's a question that usually you make sure is heard as clear as possible. A pair of ballet dancers delighted their audience when they became engaged after a production of Romeo and Juliet. It's enough to warm the cockles of your heart on a bleak January day. 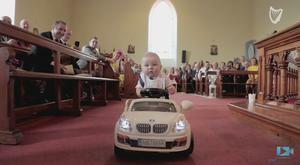 Watch: Is this the best entrance by newly-weds ever? 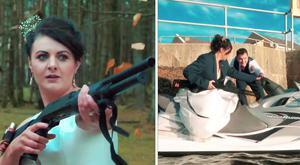 Is this the best entrance by newly-weds ever? 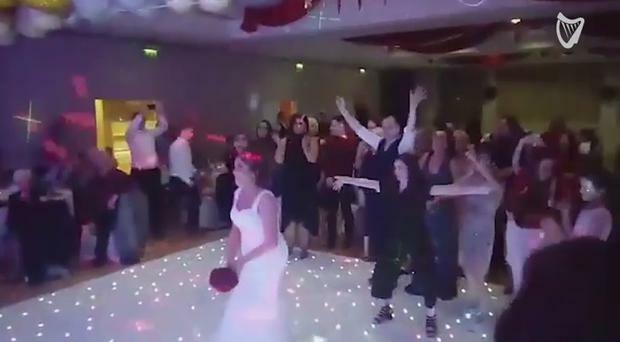 A Tipperary bride joined in on her wedding night's entertainment with an incredible Irish dancing show. Wedding days are full of special moments that will live on in a couple's memory for years to come. Irish singer Gavin James has made one fan's Christmas all the more memorable by helping him to propose to his girlfriend. 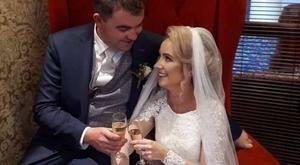 A bride has wowed her wedding guests - and the internet - by turning to her groom’s ex in her vows. Kaley Cuoco's Christmas came early this year, as she said 'yes' to a proposal from boyfriend Karl Cook. 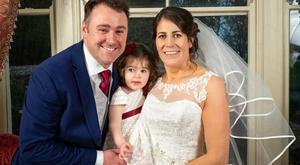 The moment a father surprised his daughter with a self-written song on her wedding day has gone viral. This young best man delivers a best man speech with more confidence than most people double his age. What better way to get people dancing at a wedding than with a flash mob? 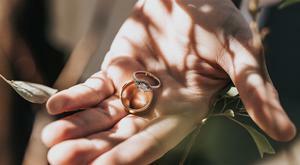 There are a few hard rules to a wedding speech that as a best man you really should follow. We Irish are known to attempt to channel our inner Michael Flatley every so often when the mood takes us. Most brides are a bag of nerves at the thought of walking a couple of steps up the aisle on their big day. Wedding etiquette warns not to talk about the ex or use any bad language, but what if you sing it instead?